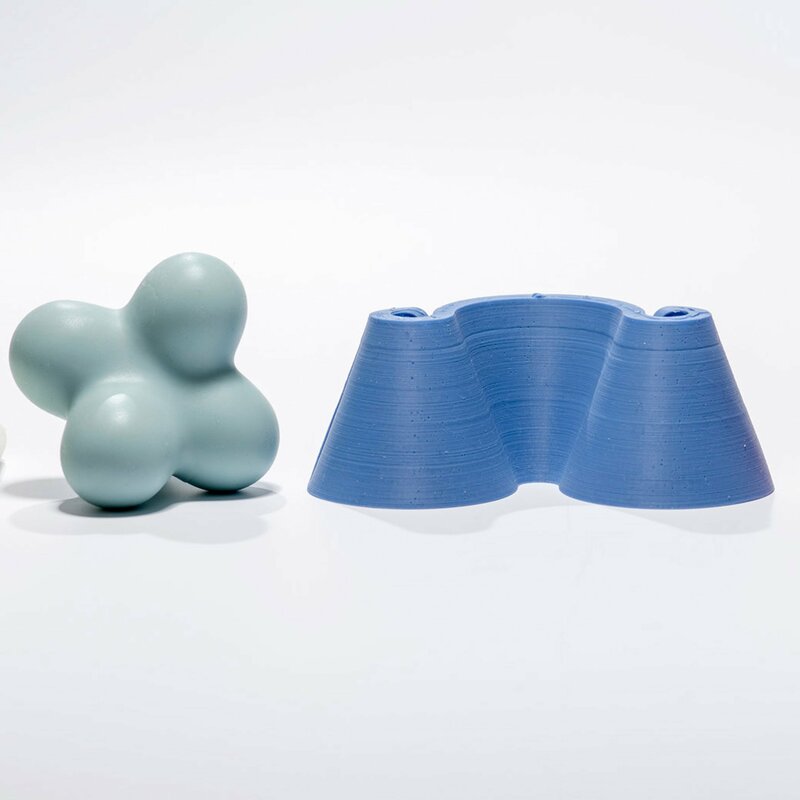 Riga School of Design and Art graduate Paula Lorence has created a series of objects to help children with autism spectrum disorders with their sensory development. The Taktil collection features 12 objects made from eight types of materials that are designed to produce different tactile sensations when touched by children. “Tactile objects are used during therapy sessions by therapists who are working with autistic children,” Lorence told Dezeen. “Tactile sensory stimulation involves the sensation of touch and texture. This method helps children focus, overcome sensory sensitivities and soothes anxiety,” she explained. Lorence separated the objects into three levels. The first level is for children who are particularly sensitive, the second is for children who are more developed and can manage stronger tactile stimulation, the third level objects are used in situations when children have anxiety or panic attacks. The objects are made from a variety of materials, including silicone, wood, transparent plastic, aluminium, cork, bristle, felt and composite material silkstone. Each product is meant to produce a different tactile sensation. The project aims to provide tools that can help children on the autistic spectrum achieve higher levels of concentration and reduce stress in their everyday lives. “Innovative and well-considered design has an immense significance for people with disabilities. For those people tactile stimulation is essential because it can affect the brain development and potentially bring positive changes into their lives,” said Lorence. The Riga Design and Art School product design graduate based her project on research that shows that one in every 58 people is affected by autism. She also spoke to parents of children with autism, who expressed the need for more products designed for those affected by the disorder. “The objects that are normally available to buy are very generalised and many children who have autism can’t use them. These observations inspired me to attempt to develop a set of objects that would be specifically designed for children with autism,” she explained. “I wanted to design something that would not just be aesthetically pleasing and highly functional, but also fall within the category of socially responsible design,” she said. The project previewed at London Design Fair, which is part of London Design Festival 2018. Other projects from the design fair include a series of furniture that expands and contracts according to a user’s needs and an ergonomic cushion in the shape of a headless torso to provide physical and emotional support for lonely millennials. The post Paula Lorence designs Taktil objects for children with autism appeared first on Dezeen. Previous PostMix These 3 Ingredients To Treat Digestive Problems, Lose Weight and More! Did I just ruin my family’s lives?